Terrence McAvoy has more than 30 years of civil litigation practice experience in state and federal court, concentrating in the defense of professional liability claims. He has represented hundreds of attorneys and law firms in the defense of wide-ranging claims, including legal malpractice/professional negligence, breach of contract, breach of fiduciary duty, common law fraud, violations of the Consumer Fraud Act, defamation and disciplinary matters. Mr. McAvoy also represents physicians, dentists and other professionals in malpractice litigation. He is also coverage and claims counsel for a national professional liability insurer. Mr. McAvoy has tried many cases and has been involved in numerous appeals. He has also represented insureds and insurers in declaratory judgment actions involving the interpretation of various types of professional liability and commercial liability insurance policies. 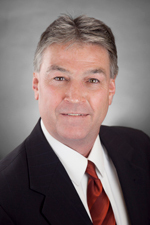 Mr. McAvoy joined Hinshaw & Culbertson LLP in June 1987. He is the past Chairman of the CBA's Committee on Attorney Malpractice. Editor of Hinshaw's quarterly newsletter, "The Lawyers' Professional Liability Update" and a past editor of "The Lawyers' Lawyer Newsletter," which address recent developments and cases in professional liability law, risk management and malpractice prevention issues.